It’s helpful to hear restaurant recommendations from friends, colleagues, or (cough cough) an amazing food website, but there’s something extremely satisfying about letting your own intuition guide you into a nondescript storefront. That’s what happened to me some months ago when I stumbled into Pluma by Bluebird. I had heard the new Blue Bottle had opened in Noma and went in one day for a Cappuccino. It was cold and rainy, but amidst the grey toned sky, I saw this beautifully soft, yellow lighting seeping out through the window of a tucked away shop. The script writing, the distant sight of metal sheet pans, and the high countertop lined against the window sill gave it all away: it was a bakery–and I had no other choice but to step inside. I introduced myself to the owner and told her I needed to hear the story of the magical smells and things happening inside this all day bakery, cafe, and wine bar. I kept my word and per her request, came back one sunny, but early, morning before I tackled a day at my desk job. I sat down with owner Camila Arango and we chatted about our favorite foods, our passions, and what it’s like to enter the highly competitive and intense food world here in D.C. I grew up in Colombia in South America, studying chemistry and biology and then after four semesters, realized I wasn’t digging it. At the time, I was baking to destress a lot. I asked myself “why don’t I just do this for life?” I was always making things with a little bit of Colombian influence because produce was a main component of cooking, but I was mixing in a lot of American culture since I was coming back and forth from the States every summer-I literally consider myself 50% American and 50% Colombian. When I wanted to pursue the culinary life, I came back to the U.S., stayed, and have been doing that ever since. Before I graduated culinary school, I did an externship at the Ritz Carlton in Tysons. I was a culinary graduate, and not just pastry, so I was able to learn everything. I was rotating through all the kitchens. Then, I went to Maestro, a high end fine dining kitchen, and I put everything into it. While working at Maestro, I met my husband. We balanced each other out because he was very creative with aesthetics while I was very by the book and organized. We were working at the Mandarin Oriental and my husband was at the Fiola restaurant group, but we knew we wanted to open up our own place. I stepped away and was like “we are going to do this.” If we didn’t stop, our dreams were never going to happen. I started working on a business plan. So, that’s how it all began. Two Amy’s and Etto. They simply have food that’s delicious and they always get it right. They have amazing cocktails and wine–and I know it’s always going to hit the spot. I love to make, what I would call, “Colombian brunch.” The brunch would consist of Colombian hot chocolate that’s made in a pit and you melt cheese in it. People think that’s insane, but you just do it. It’s delicious served with little traditional Colombian bread, it’s perfect. Do you prefer to breakfast/brunch in or out? It depends on how I am feeling, but I usually like to go out and have others do the work. If I’m feeling fancy, Fiola Mare is a beautiful place for brunch. If I am doing something a little more casual, CORK wine bar always has solid food and wine. I don’t eat eggs, so I’m pretty conscious of everything that can be made with things that are not that. I almost always have to start the day with something sweet. Something with fruit is usually my go-to. What is your favorite item on Bluebird’s breakfast/brunch menu? What is the most-ordered item? I love the blackberry tartine. It’s a delicious balance of my favorite things. Or the tomato toast. 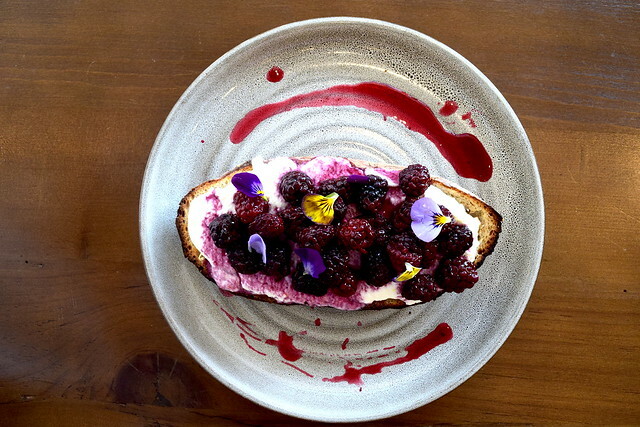 The flowers decorated on the toast add purpose as to not waste anything–and they look pretty. Mimosas hands down. 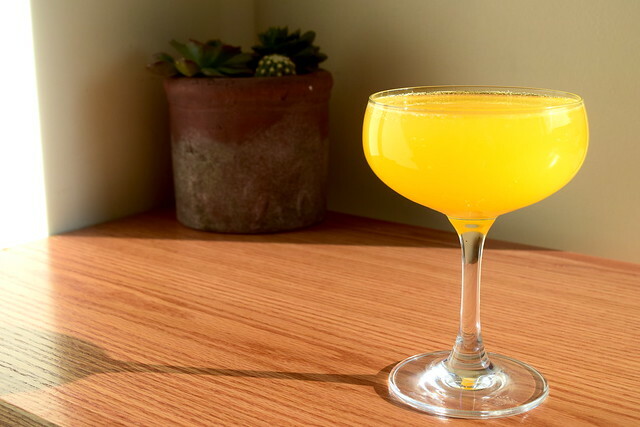 In the winter we were doing blood orange mimosas and those were really pretty. I’d like to experiment with more variety, but that will come in time. If you had to invite five local celebrities/chefs to brunch, who would they be? Nick Stefanelli, the chef at Masseria, Peter Paston, and Rob and Violetta of Dolcezza, I really look up to them and pull from their stories and their energy. Whenever I’m feeling like I can’t do this, they pull me back to a place where I am reminded of their history and their success. The fact that we opened has been a sheer accomplishment. We had a lot of trials and tribulations, a lot of ups and downs trying to get this place open. Washingtonian magazine came in some weeks ago and we are going to be in their June issue, which is really flattering and a beautiful way to show all the work we have put in. What do you want people to know about Pluma? We are active all day. Pluma is a great place for breakfast, lunch, and we even have dinner with our light bites. I like to eat very light before bed and this is the perfect place to come. This is a place where you can come and enjoy wholesome main dishes, beautiful wines, and maybe splurge on dessert. 7am to 9pm during the week and 8am to 10pm on Saturdays. I want people to come down and support small businesses–I feel like that’s really important. People in D.C. are into that, and we need to keep it going.